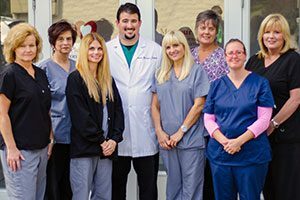 At Montour Dental, we are committed to using the latest technology to rebuild your smile. Teeth can be damaged or lost due to a variety of reasons, such as decay, infections, or fractures. We will make every effort possible to save your tooth using a tooth colored filling. In the case of larger fractures or cavities, we are still able to save many teeth with esthetic, metal free crowns(which can be accomplished in a single visit with our CEREC machine). Even in those situations when teeth are lost, we can permanently replace teeth with life-like, metal free bridgework. Please contact us for more information.